Called “a devastating read” by Truthout, Burning Down the House received a starred Publishers Weekly review and was an In These Times recommended summer read. 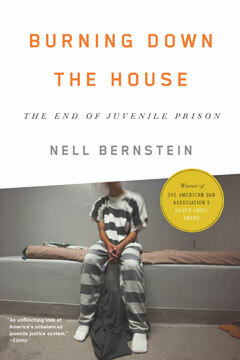 Bernstein’s heartrending portraits of young people abused by the system intended to protect and “rehabilitate” them are interwoven with reporting on innovative programs that provide effective alternatives to putting children behind bars. The result is a work that the Philadelphia Inquirer called “a searing indictment and a deft strike at the heart of America’s centuries-old practice of locking children away in institutions”—a landmark book that has already launched a new national conversation.